Häfele have joined forces with one of the world’s leading providers of sanitary fittings, Grohe, to bring innovative kitchen taps to the UK market. The strategic partnership sees Häfele becoming the sole national distribution partner for Grohe’s kitchen tap range in the UK. Grohe is an award-winning brand that is synonymous with innovation and design excellence, aligning solidly with our offering of exceptional innovation and product range to the market. The exclusive addition of Grohe’s kitchen tap range will allow us to expand on, and enhance, their existing kitchen appliances and accessories range. One highlight from the portfolio of leading products available through the exclusive partnership include the Grohe Blue, a stylish, intelligent water system which gives users instant, cool, still, medium or sparking water. Whatever your idea of perfect water is, the innovative tap delivers purity. The Grohe Red is another highlight from the exclusive range , providing kettle hot, warm or cool water at the touch of a button. 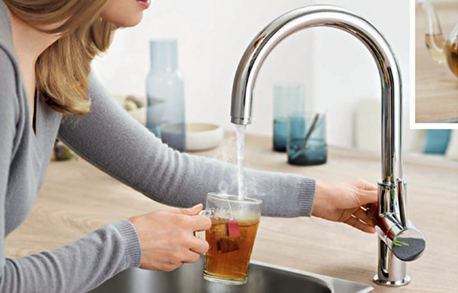 Variations of the Grohe Red allow for the complete replacement of the existing kitchen tap and kettle, allowing for more counter space, as well as instant hot water in a safer kitchen. 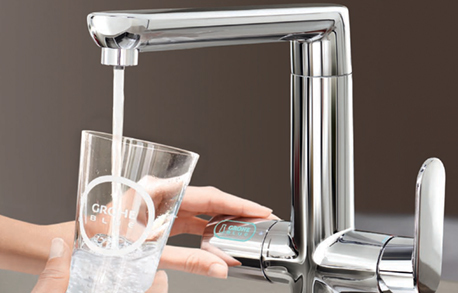 Craig Chambers, MD, Häfele UK comments: “Häfele is thrilled to partner with high-end kitchen taps brand, Grohe. The two companies share the same commitment to first class engineering, quality and design making the partnership a natural fit. 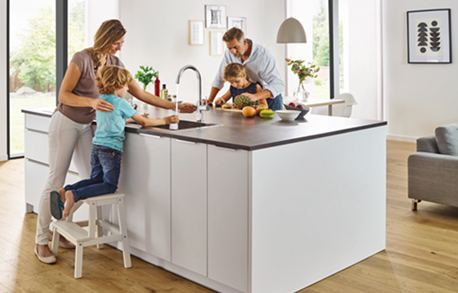 Take a look at the Grohe product range, available exclusively through Häfele here or read more about Häfele’s New Kitchen Taps Collection here.